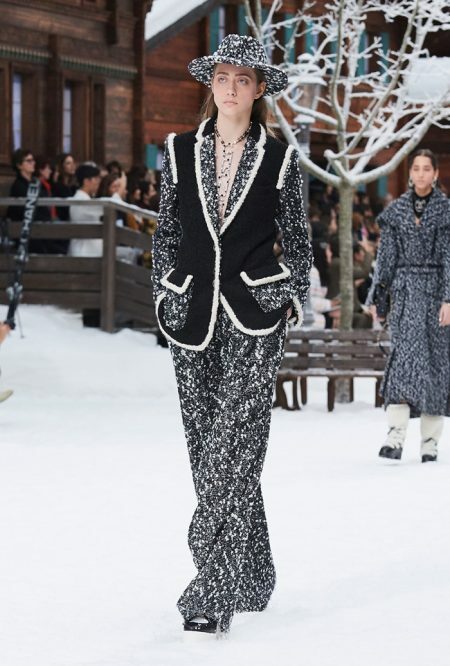 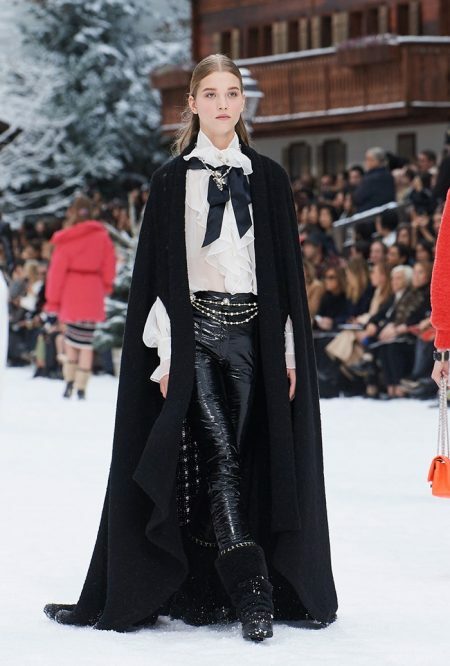 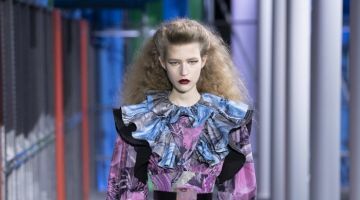 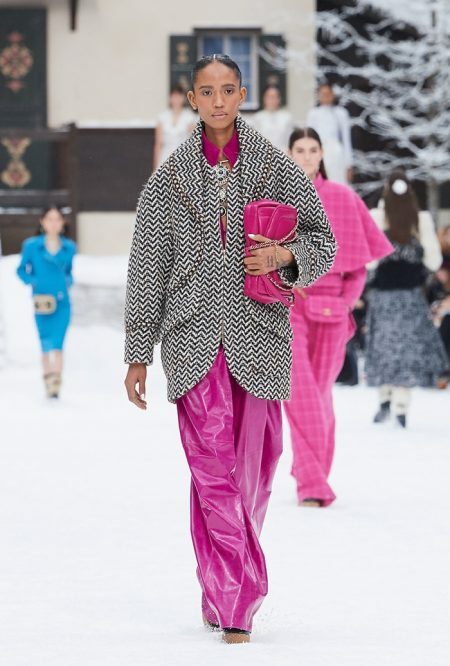 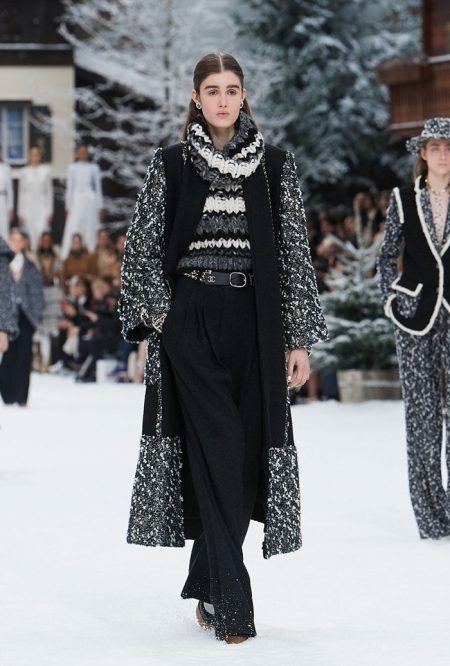 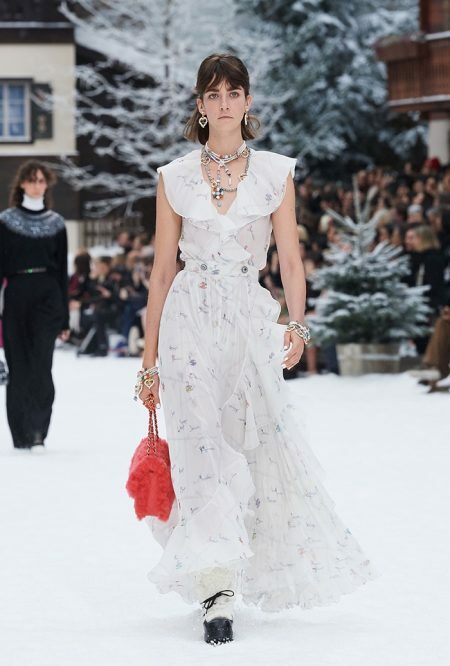 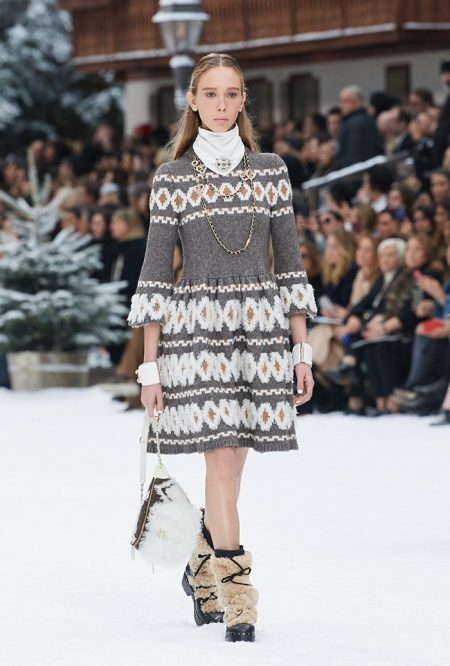 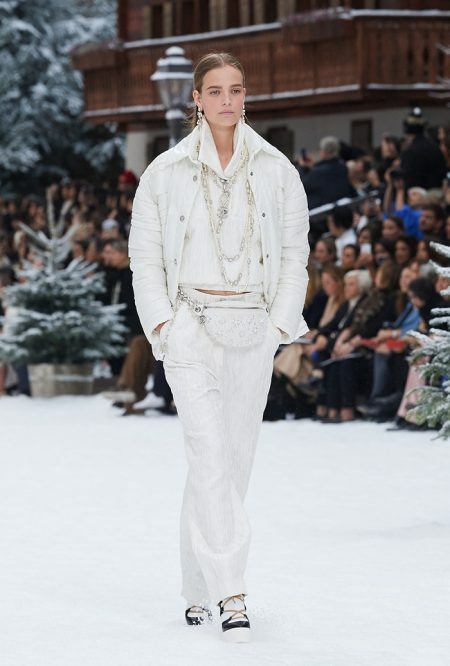 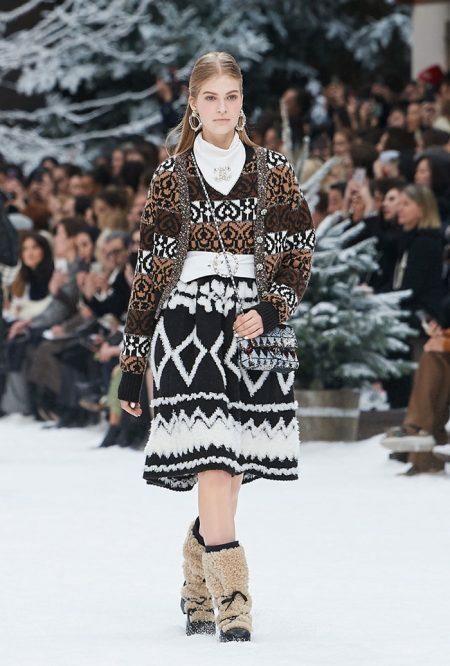 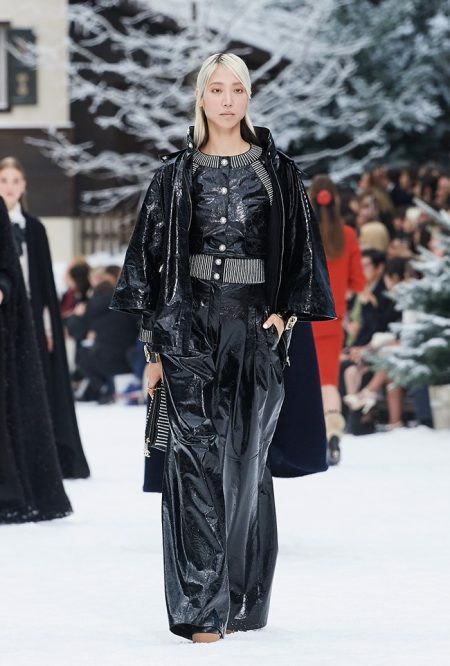 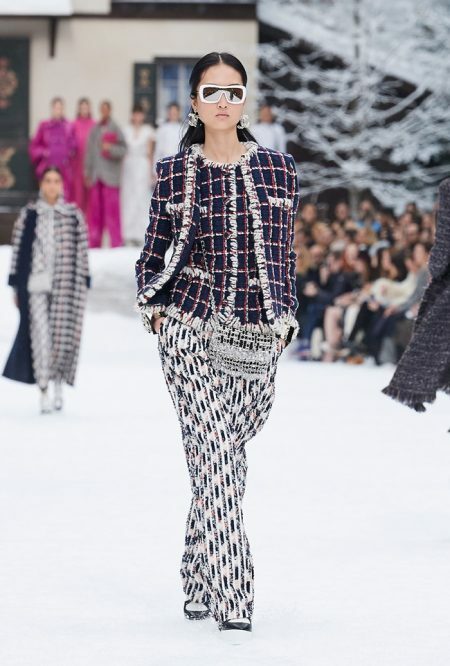 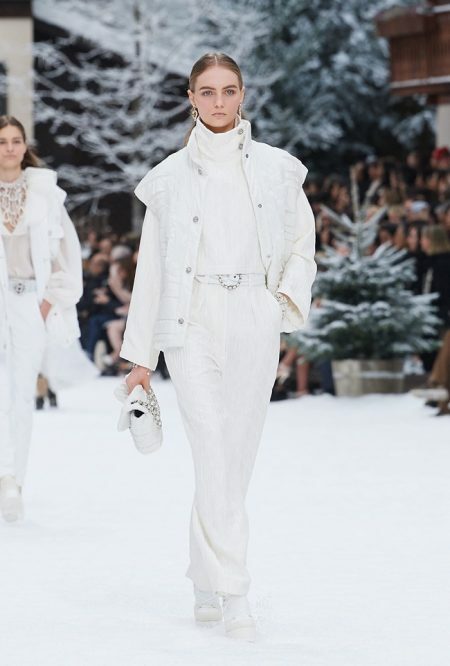 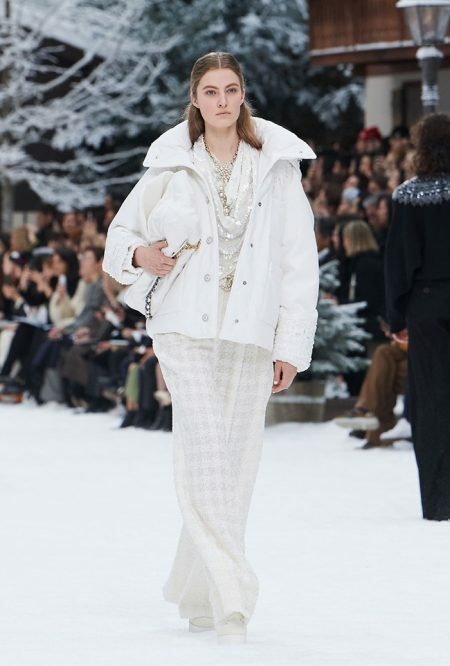 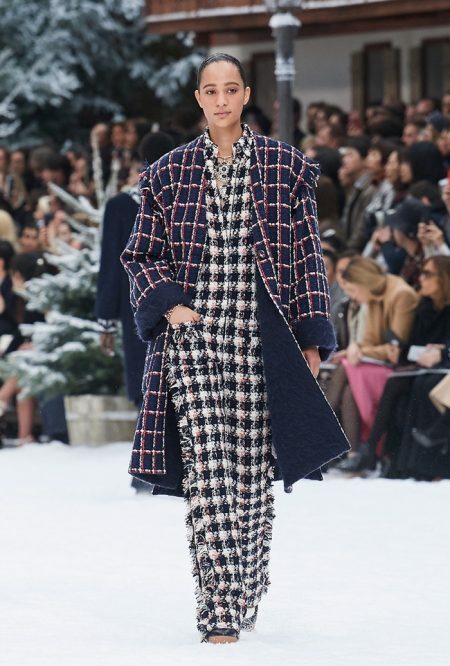 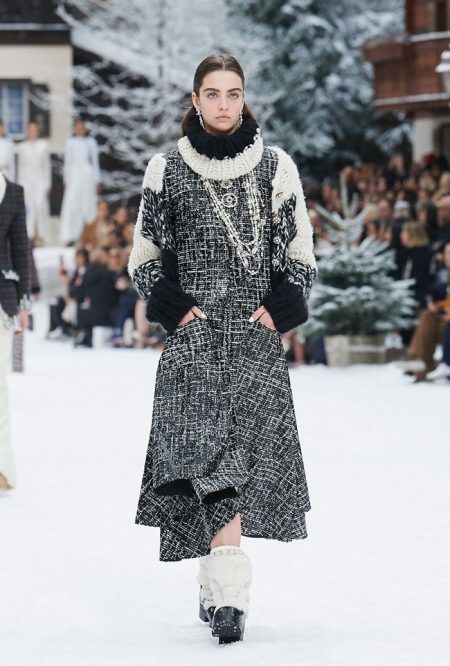 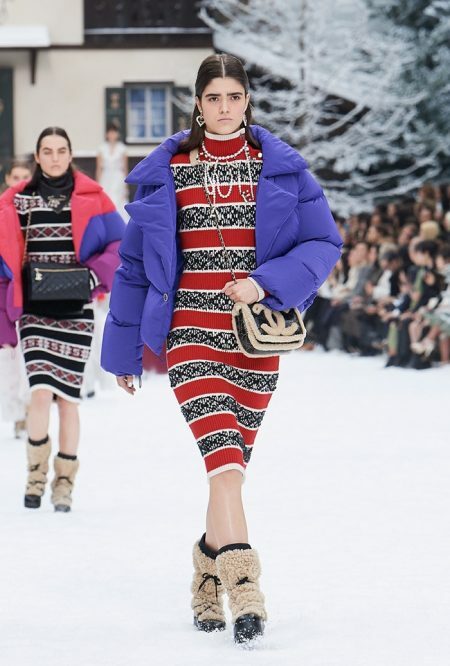 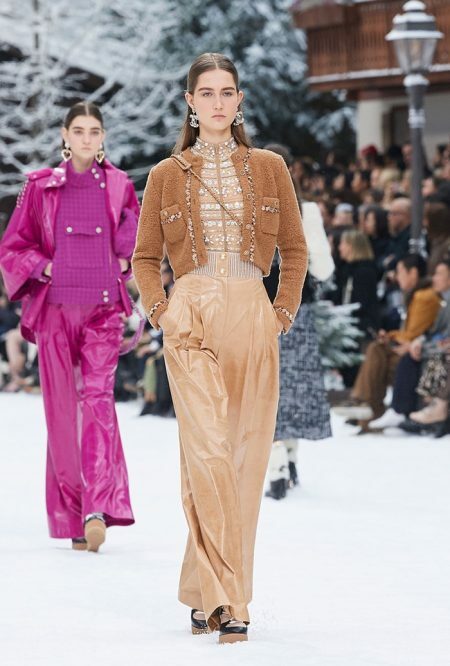 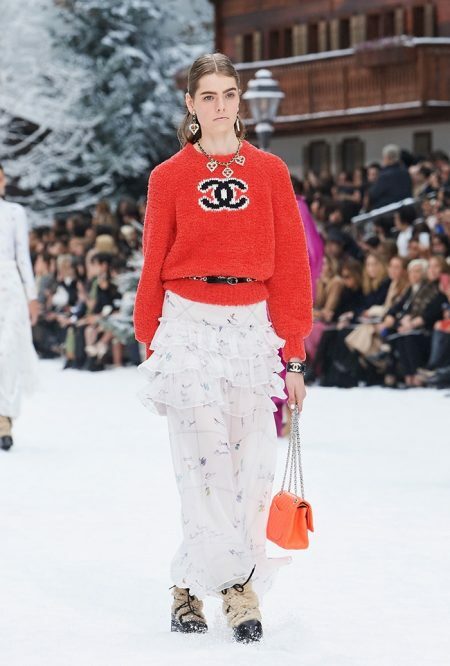 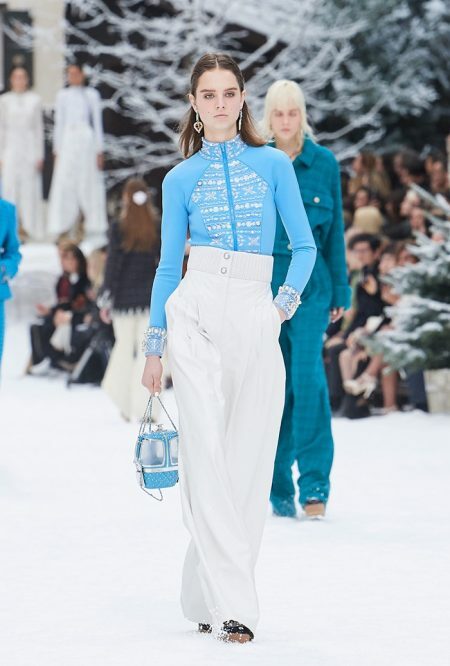 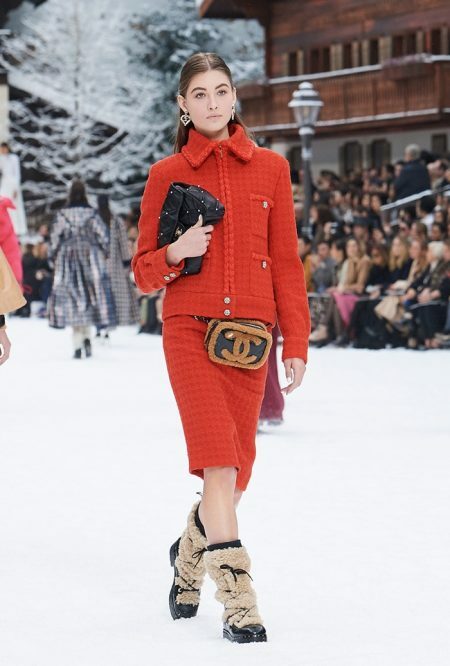 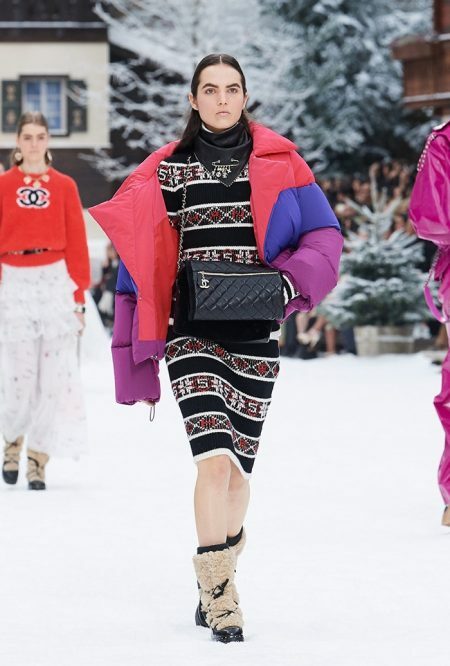 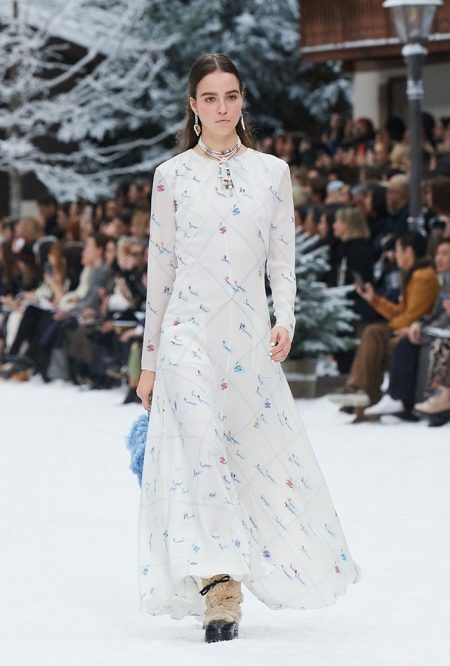 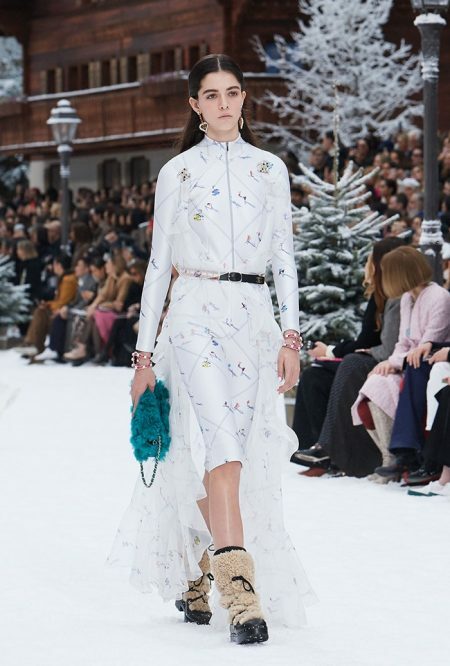 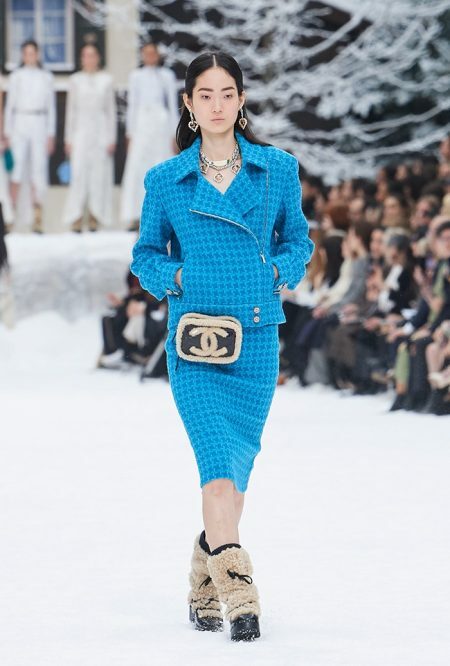 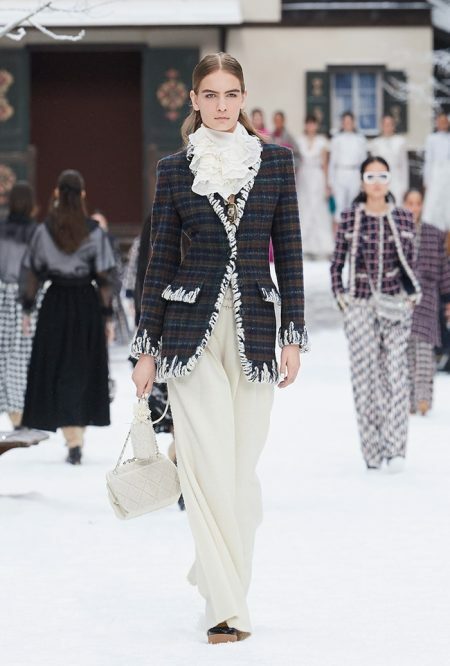 Under a month after Karl Lagerfeld’s passing, Chanel debuted the creative director’s final collection for fall-winter 2019. 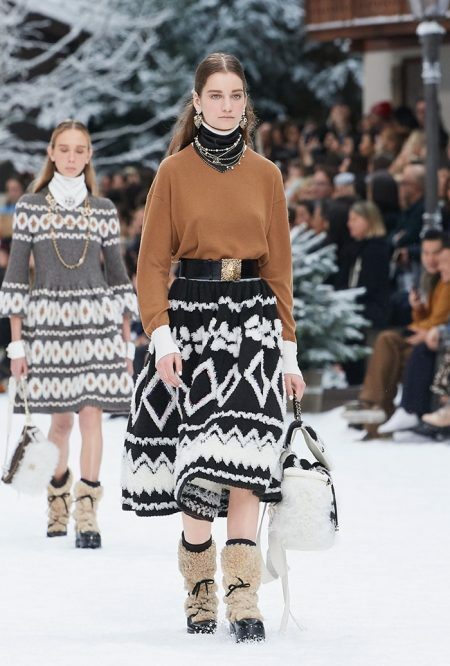 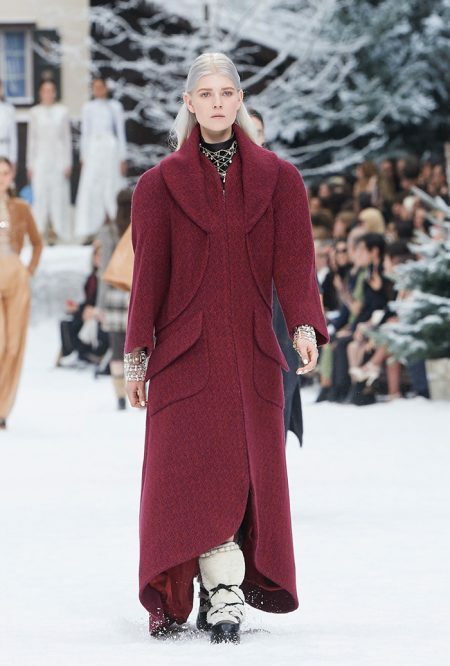 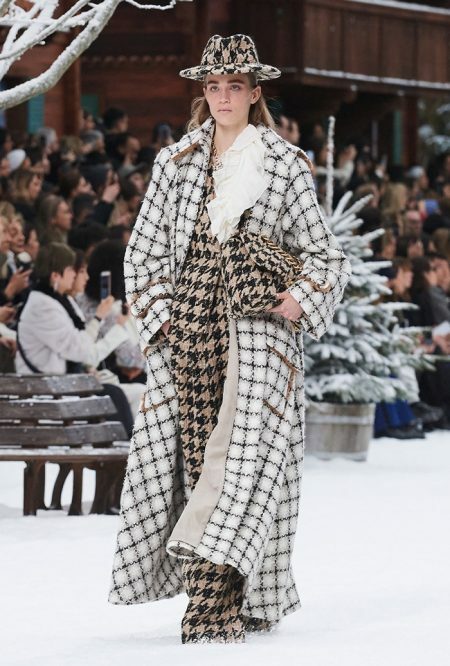 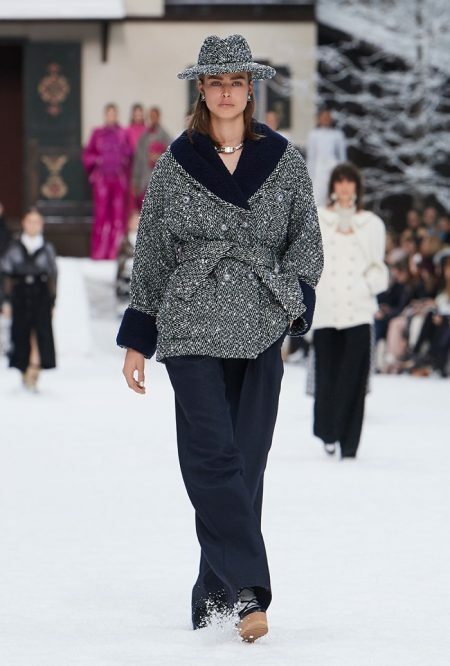 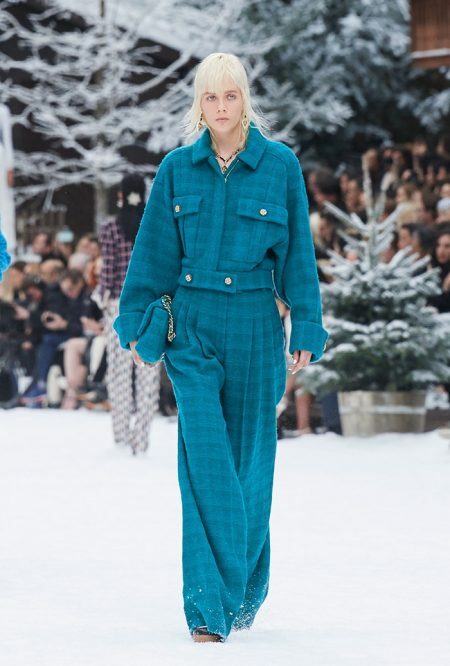 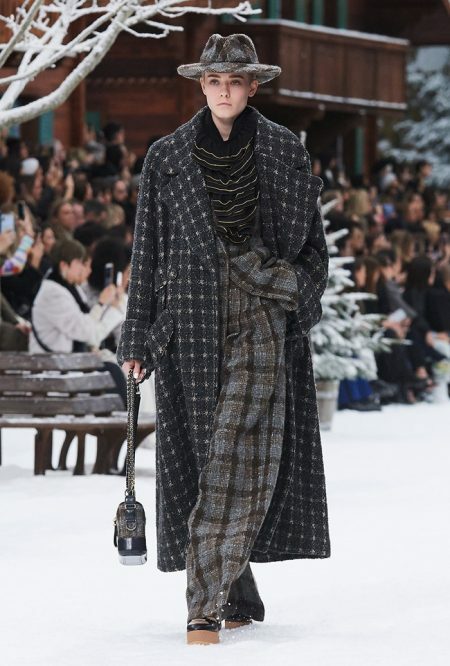 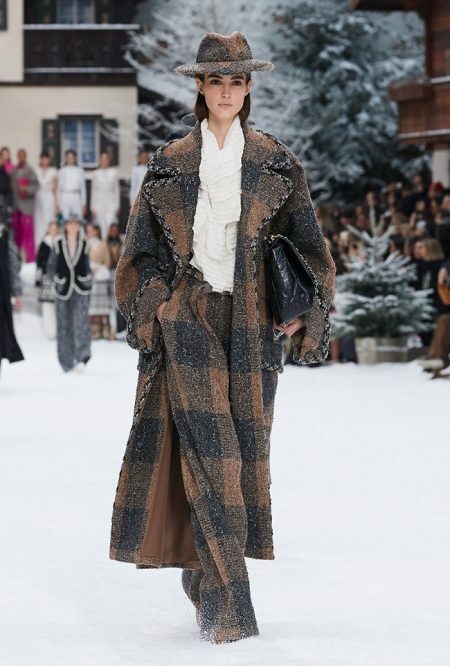 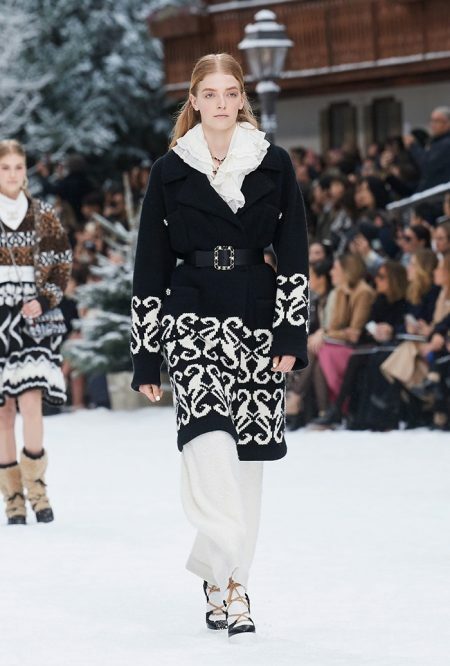 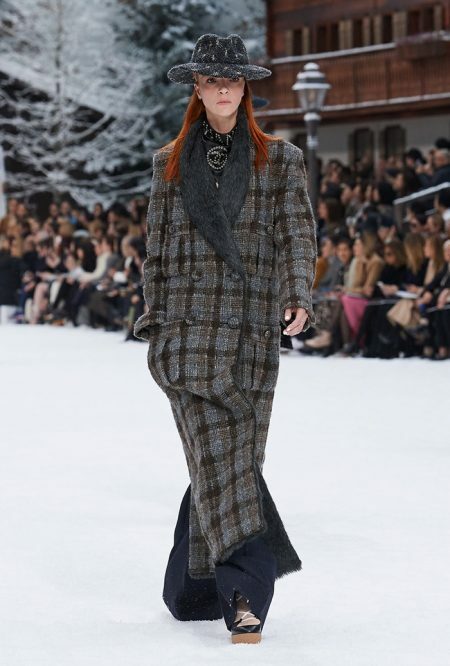 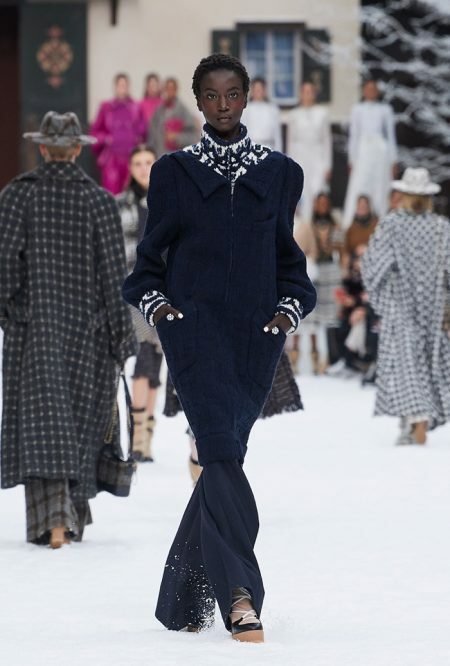 Set against a snowy backdrop, models walk the chalet set in elegant layers featuring luxe tweeds. 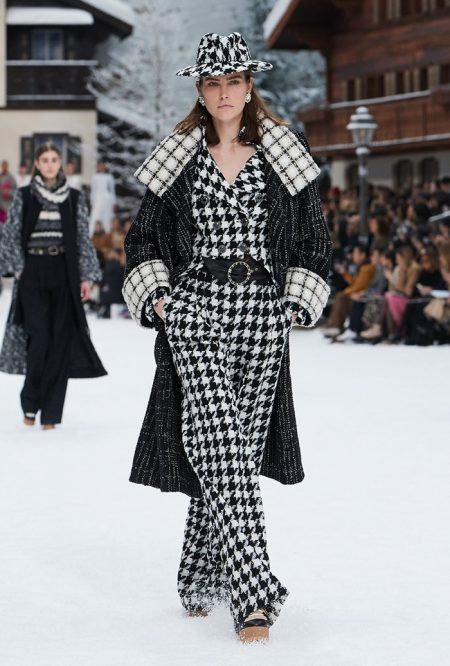 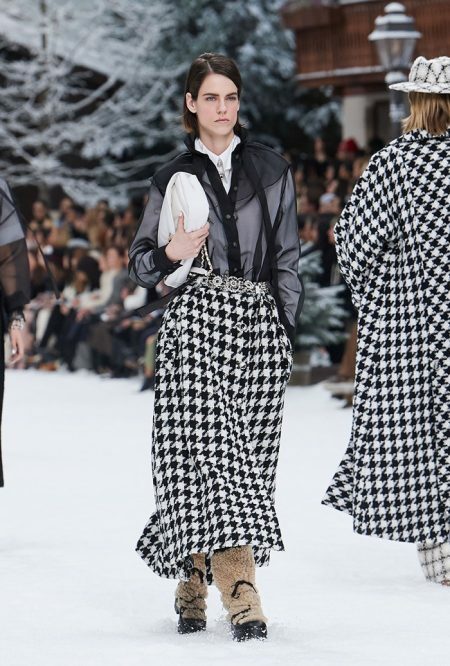 Houndstooth prints and checkers decorate sweeping coats, wide-leg pants and tailored jackets. 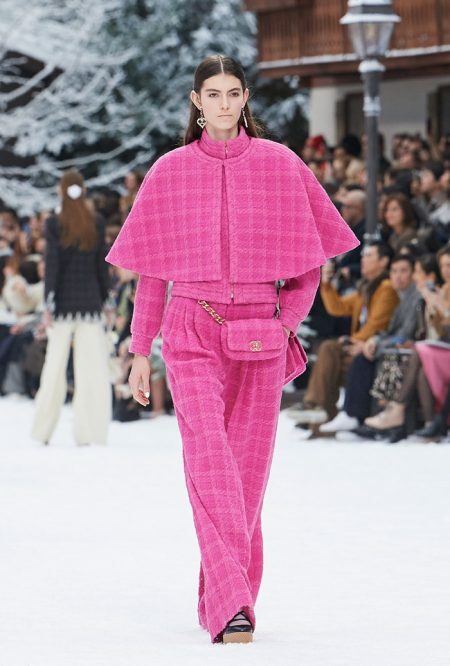 A color palette of neutral beige, grey, black and navy juxtaposes with vibrant blue, red and pink. 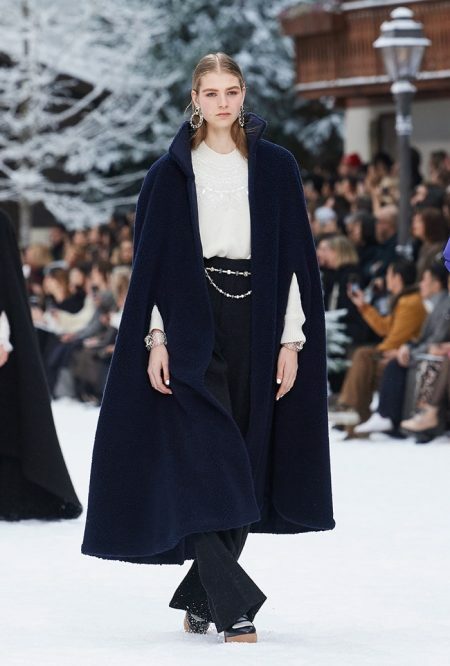 Accessories include wide-brimmed hats, belt bags and layered jewelry. 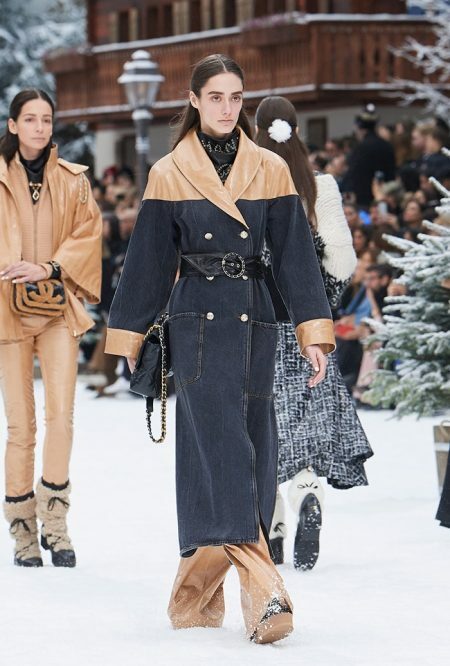 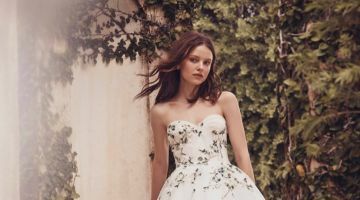 The cast of models features notable Chanel faces such as Cara Delevingne, Penelope Cruz, Grace Elizabeth and Kaia Gerber. 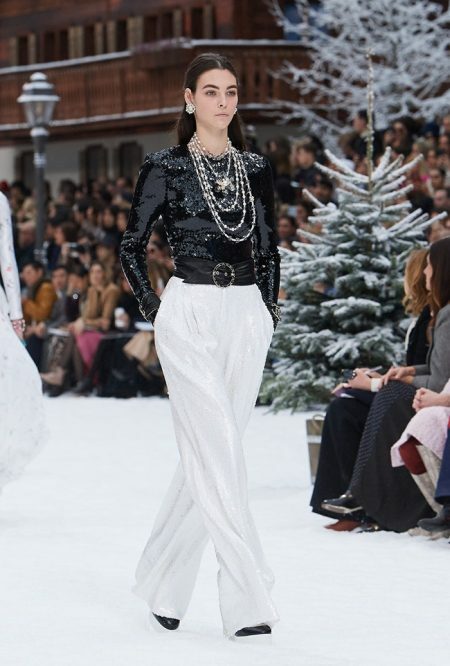 For evening wear, puffed skirts paired with embellished tops are visions in white.